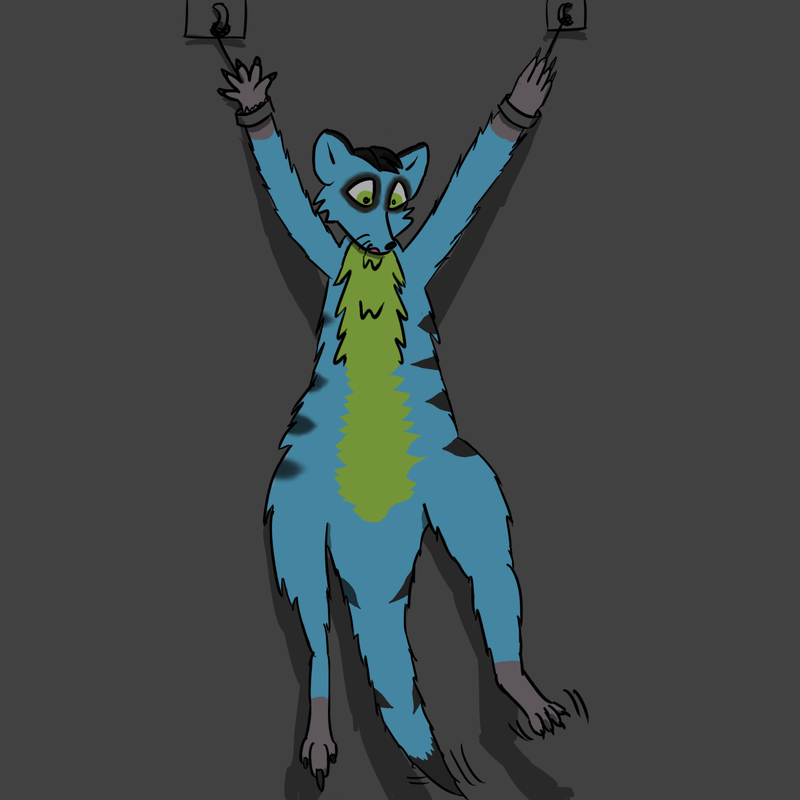 Groo woke up hanging and dangling from a wall, in a dark room, but something wasn't right. He looked to his right foot, and of what he could see he was still roo, however when he looked to the left.... "Aaa... that can't be my foot!" His foot was appearing not so roo-like, he twitched the foot in disbelief, but sadly it was his foot. Little could he see that he was becoming a meerkat.